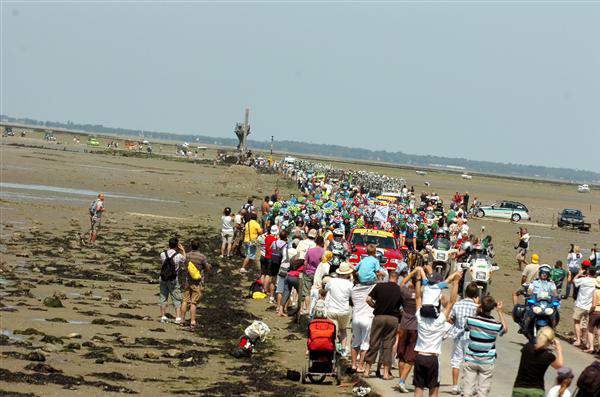 The Tour goes over the Passage du Gois. 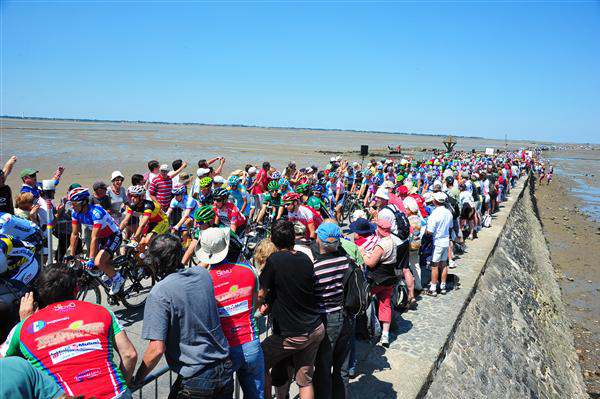 Another view of the Passage du Gois crossing. 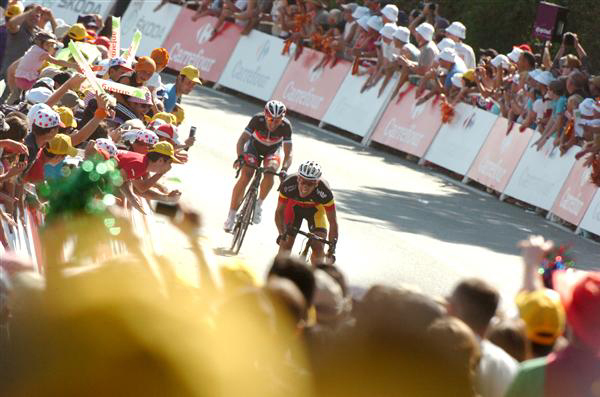 Philippe Gilbert went by an attacking Fabian Cancellara. 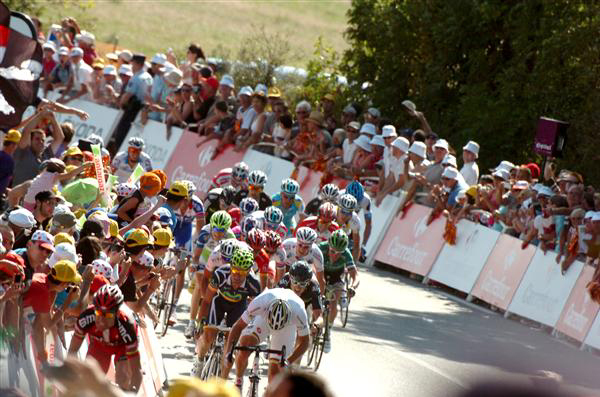 Cadel Evans is riding away from Thor Hushovd. 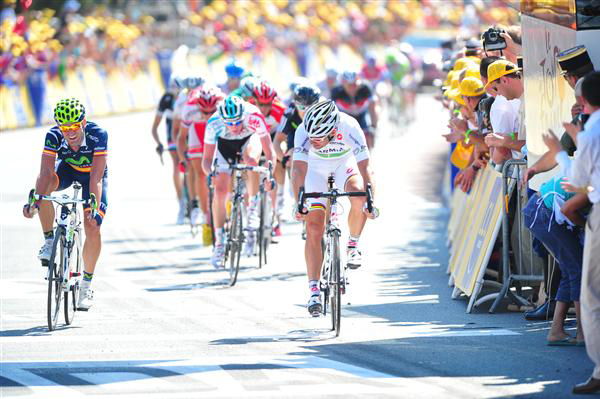 Philippe Gilbert takes a clean win in stage 1. 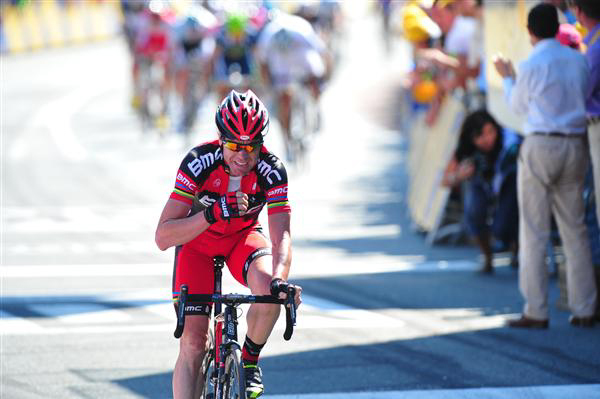 Cadel Evans did himself a world of good today, coming in second and missing the crash. Andreas Klöden and Chris Horner aren't far behind. 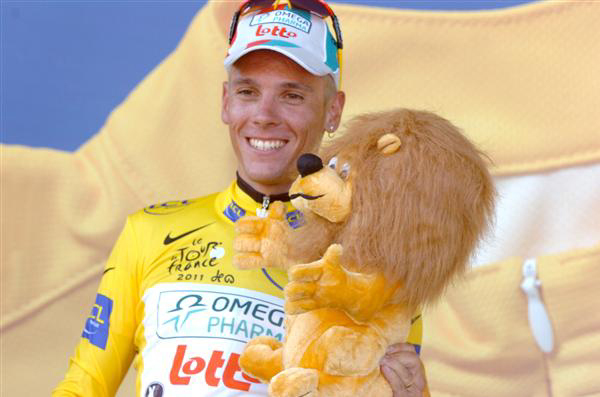 Philippe Gilbert is the new Yellow, Green and Polka-Dot jersey. Not a bad haul for a hard day's work.